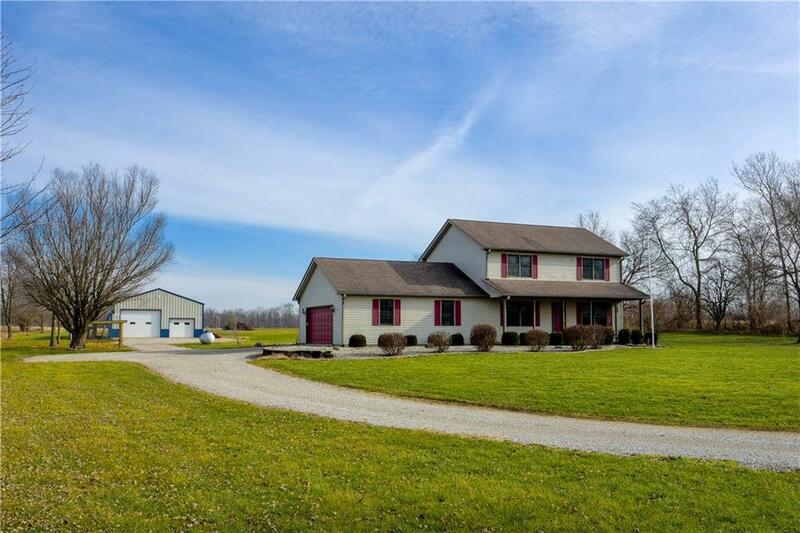 Here's a great package offering a super nice & clean home built in 1999, 2.5 acres and a 56x32 pole barn! This home sits far off the road and offers great appeal! Inside you'll find a den & living room, spacious eat in kitchen area and a nice master suite! Large covered front porch, screened in patio with hot tub and good sized open patio. The attached garage is over-sized offering 728 square ft. The pole barn was built in 2006 and offers concrete, insulation, 10 ft overhead door and a 200 amp electric panel! The property is nicely landscaped and is a must see if you're looking in the Eastern Hancock School District.